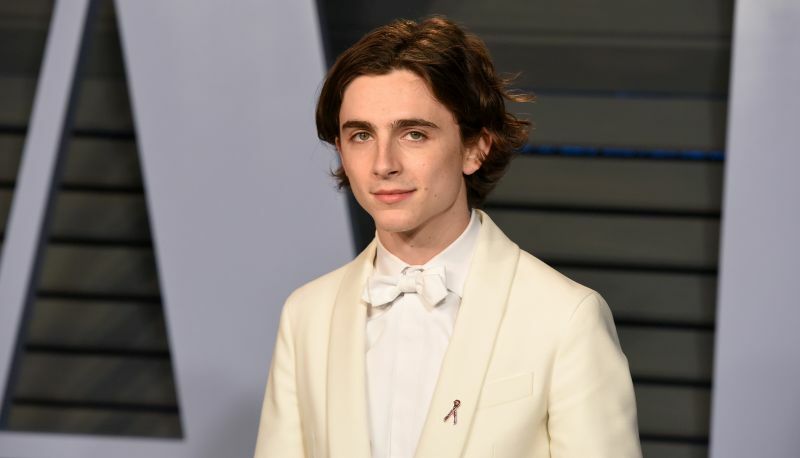 Deadline is reporting that actor Timothee Chalamet is in final negotiations for the lead role for Legendary Entertainment’s new Dune movie, their upcoming attempt to bring the Dune franchise to life on the big screen once again. Legendary acquired both film and television rights to the sci-fi franchise that started with the titular 1965 novel and Denis Villenueve (Blade Runner 2049) was attached to direct in February 2017, choosing to adapt this for his next project over other offers including the next James Bond outing. Chalamet is still celebrating the acclaim he received for his role in last year’s Call Me By Your Name, for which he was nominated for numerous awards, including the Oscar for Best Actor. Set in the distant future, Dune tells the story of Paul Atreides whose family accepts control of the desert planet Arrakis. As the only producer of a highly-valuable resource, control of Arrakis is highly contested among the noble families. After Paul and his family are betrayed, the story explores themes of politics, religion, and man’s relationship to nature as Paul leads a rebellion to restore his family’s control of Arrakis. A Dune movie was previously realized in 1984 with director David Lynch at the helm. There, Kyle MacLachlan headlined as Paul Atreides. While the film underperformed at the box office, it has since gained popularity as a cinematic cult classic. Herbert’s novels were later adapted for television with Syfy adapting both the first and third books (Dune and Children of Dune) as television miniseries. More recently, the 2013 documentary Jodorowsky’s Dune examined director Alejandro Jodorowsky’s failed attempts at making his own Dune movie. With a fully-realized science fiction universe that spans millennia, Dune has the potential to go as big as Legendary wants to make it. Herbert himself wrote five literary Dune sequels and, beginning in 1999, new Dune novels began being published. Kevin J. Anderson and Brian Herbert teamed to write more than dozen novels that expanded on the Dune universe. The new Dune movie will be produced by Thomas Tull, Mary Parent and Cale Boyter, with Brian Herbert, Byron Merritt and Kim Herbert serving as executive producers. Kevin J. Anderson, meanwhile, is set as a creative consultant.